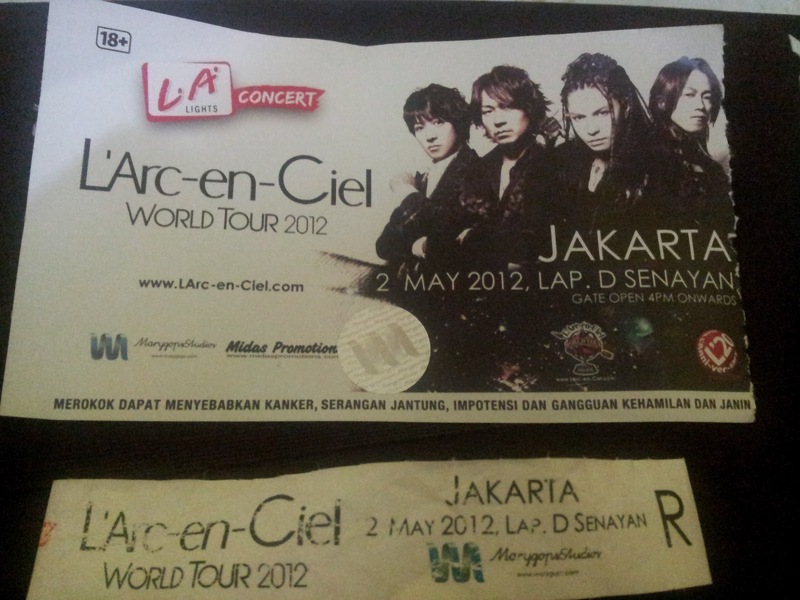 Almost 2 weeks ago, my dream to came to one of L'Arc~en~Ciel concert became reality. I've been their fan from so long time ago so the first time I heard about their concert in Indonesia I feel so excited. I didn't have any idea that there were lots of their fans that more excited than me tough (laugh). The very first day of ticket sales online, all the VIP and premium ticket was sold out. That day, I was in Bali spending holiday with my family. And while I was still thinking whether I would booked VIP ticket later in Jakarta, there's no more VIP or premium ticket left for me (laugh). So, I bought a regular ticket instead (>.< and after that suddenly some people sells their VIP tickets because they couldn't attended the concert). Their concert was held in weekday so I had difficulty to attended it on time. I have to work, duh. I spoke to my bosses, tell them that I would leave 30 minutes earlier than I obliged to because I have to go to L'Arc`en~Ciel concert. Silly me. I thought 30 minutes would be sufficient. I underestimated Jakarta traffic!! 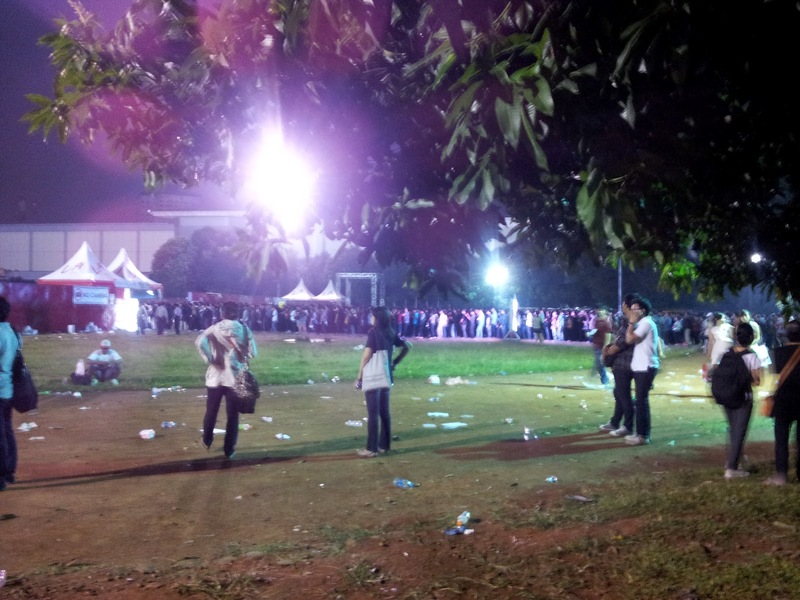 When I'm finally arrived at the concert place, the queue had been so long >.<. I was afraid that I'm gonna be in the back row. I enter the concert place at 7 o'clock. 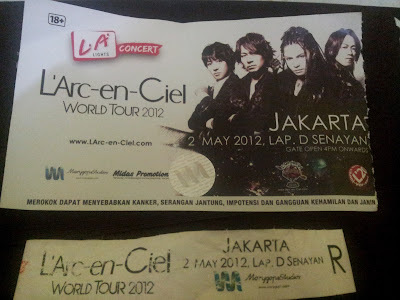 The waiting seems too long but fortunately all the L'Arc~en~Ciel fans there was so funny that I smile, laugh, and not get bored. I even be acquainted with some people. 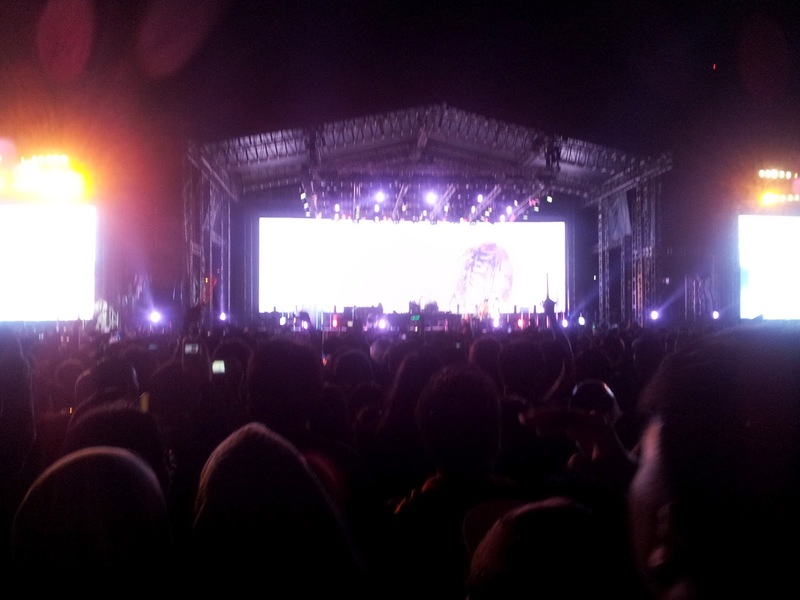 Finally, concert started at 8 o'clock and it was one of the best moment of my life!!!! Hyde's voice was admirable and so melodious!!!! Well, he lost his voice sometimes when he tired but overall the performance was super!!!! At first, I really regret that I just got the regular ticket instead of VIP. But I thanks God after that because if I had bought the VIP tickets, maybe I couldn't go to JRock Evolution and BigBang concert in October. He he he.